Fourth-year Hill Bonin standing in the goal for the Maroons. 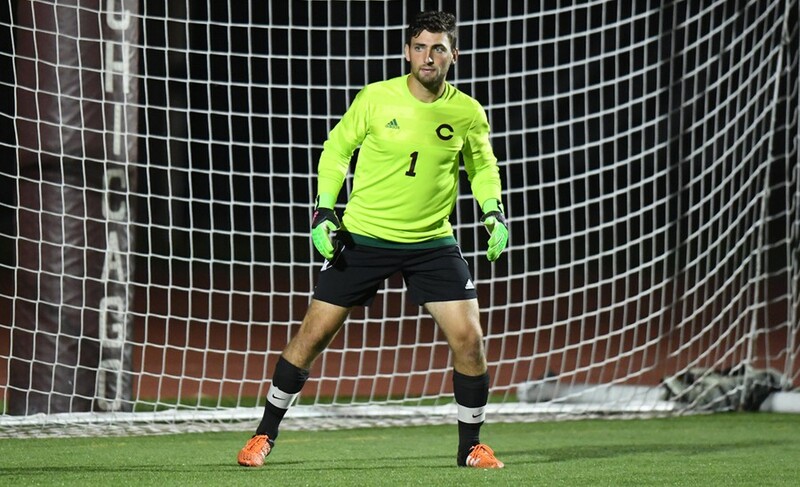 The man that has become synonymous with UChicago soccer for the last four seasons has sadly finished his time as the starting goalkeeper. Hill Bonin, a four-year starter, has had as successful a career as any UChicago student-athlete. Walking by the wall of records in Ratner, all of the goalkeeping records are held by one man: Hill Bonin. Even now, he has hardly had a chance to reflect on his storied career, since he is “so busy trying to find professional opportunities,” as he put it. However, when given the opportunity to reflect on his career, Bonin is proud of what the team accomplished as a whole rather than his individual accolades. “When my class came to the soccer program we were an irrelevant, .500 record team and now we are a national powerhouse. We set out a goal to be the best in the country and we achieved that.” The proudest aspect of Bonin’s career is that the team was able to channel its ambition to be the best, and actually achieve its goals instead of leaving them unfinished. While talking to Hill’s teammates, the main characteristics that came up were his passion for the game and his ability to lead the team, while being an amazing teammate. Nicco Capotosto, a third-year midfielder, calls Bonin “one of the most passionate guys I’ve ever played with” and “a great teammate who lives and breathes soccer.” First-year Carter Romero agreed with Capotosto wholeheartedly, stating that Bonin “was a great teammate, who brought energy to every practice and always worked hard to do his job.” This passion and drive was evident throughout Bonin’s last season, especially when faced with adversity. Near the end of the regular season, Hill suffered a potentially devastating injury with a high ankle sprain. However, instead of resigning to his fate and ending a storied career, Bonin fought through the pain and worked his way back to play in the Maroons’ Final Four run in North Carolina. While it was not the fairy-tale ending, the sheer desire to come back and play emphasizes the type of player and person that Bonin is. Overall, it is impressive that Bonin is putting himself out there, trying to fulfill his lifelong dream. He states it perfectly, saying, “There’s nothing to do but train very hard every day and hope I get seen by the right person at the right time.” With the right attitude, endless drive, and a deep desire for the game, Bonin has a chance, and that’s all someone can ask for in trying to make it as a pro following the conclusion of his great Maroon career.